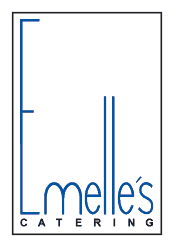 Thank you for considering hosting your catered event with Emelle's. Please use the form below if you are planning a wedding, corporate function, party, special event, social affair or any other type of occasion. Please let us know how many guests you are expecting; if there are any special dietary requirements or allergies; or if there are any other specific details we should know.You will be contacted by one of our experienced event planners to help you prepare a detailed quote.